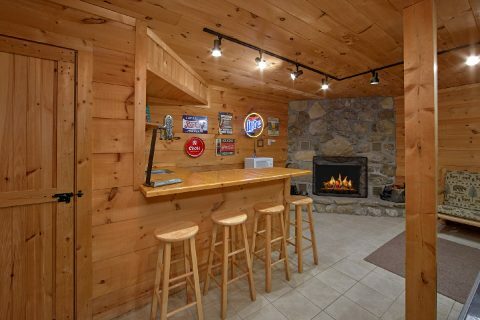 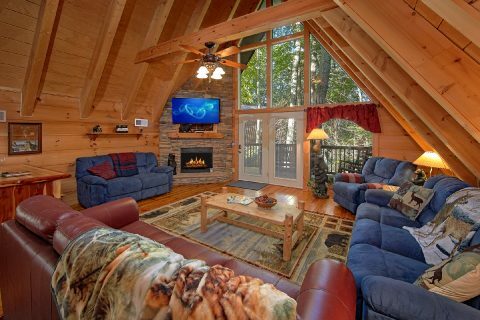 3-Bedroom Gatlinburg Cabin Near Ober "Skiing With The Bears"
Searching for a Gatlinburg cabin for your ski trip or a vacation filled with exploring the Great Smoky Mountains National Park? 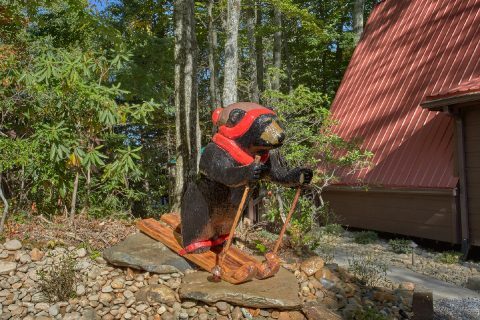 Look no further than "Skiing With The Bears!" 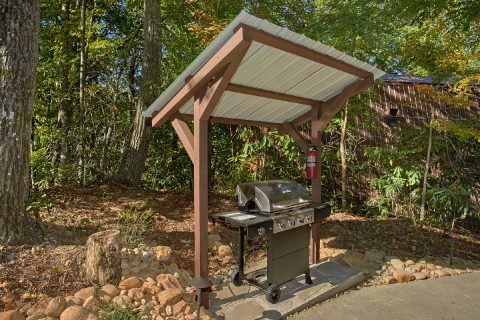 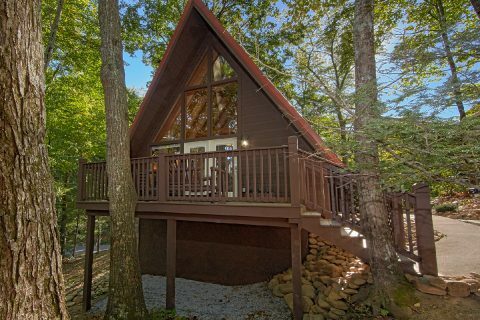 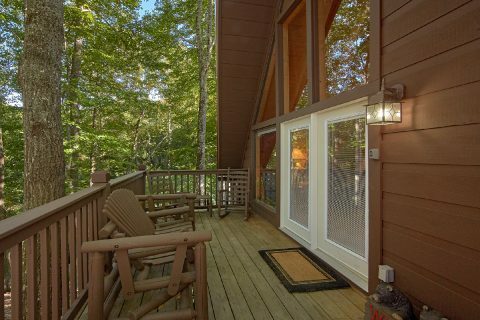 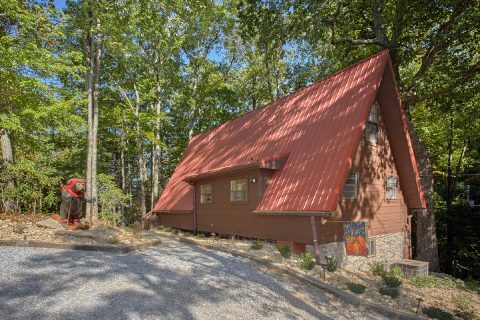 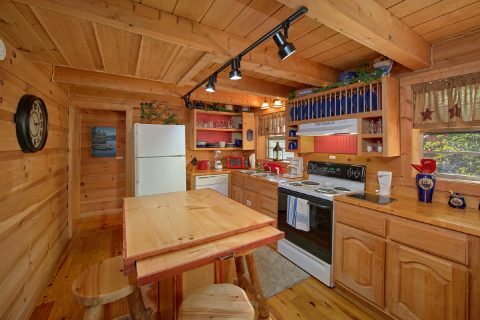 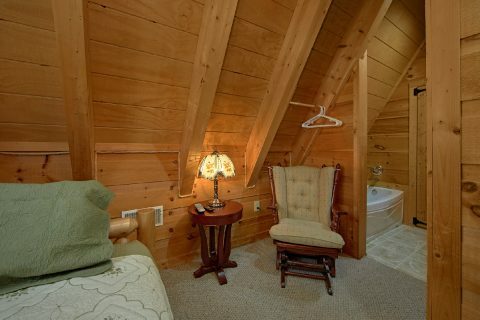 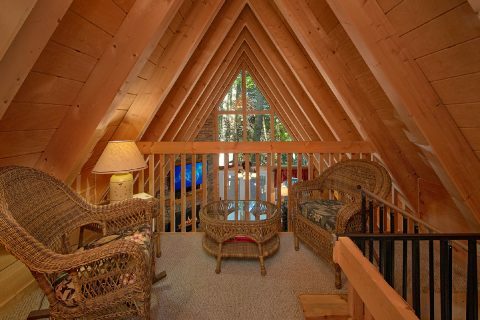 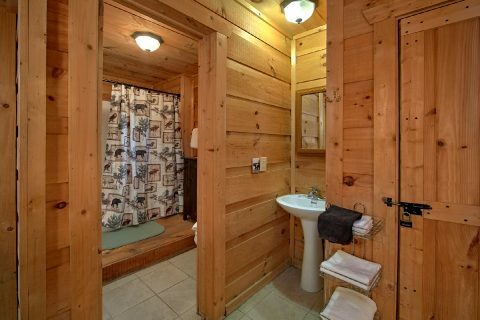 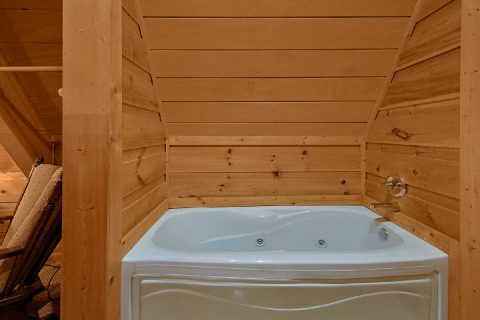 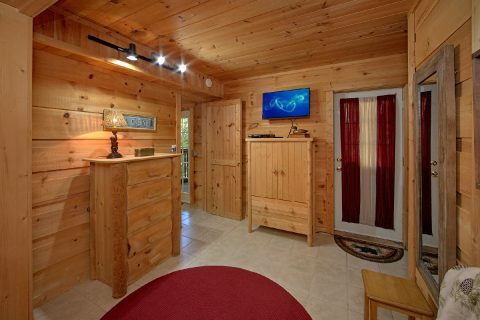 This quality, 3-bedroom cabin in Gatlinburg rests just off of Ski Mountain Rd. 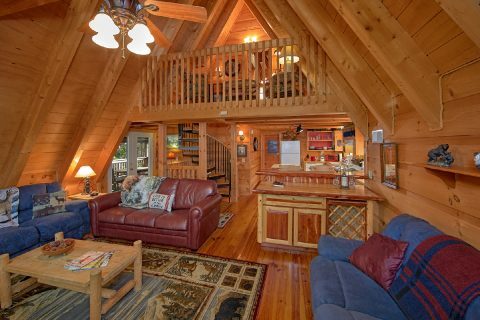 in the beautiful Chalet Village Resort community. 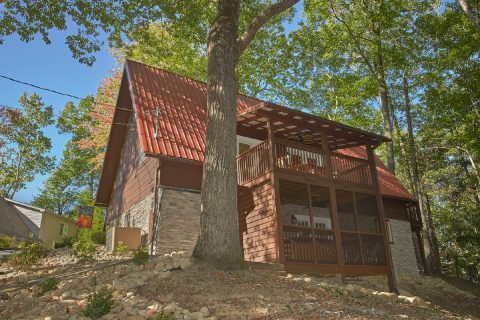 This premium location ensures that guests are only a few miles from Downtown Gatlinburg and the Sugarlands entrance to the national park. 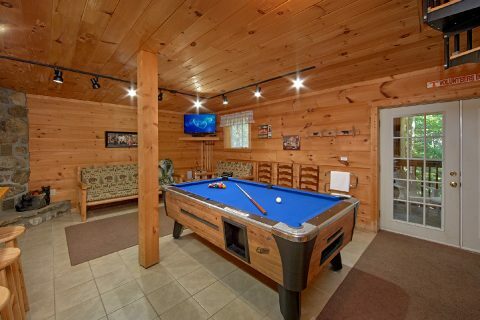 This cabin's resort area also boasts perks for guests like summertime swimming pool access. 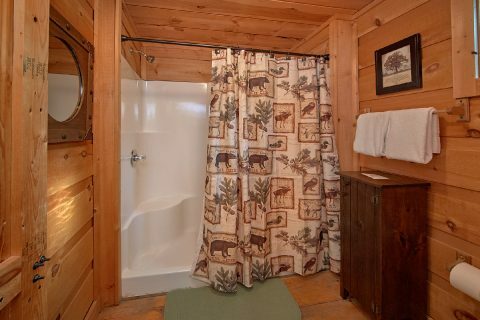 Not only does this cabin keep you close to the sights you want to see, but also "Skiing With The Bears" has plenty of terrific amenities you'll want to enjoy during your stay. 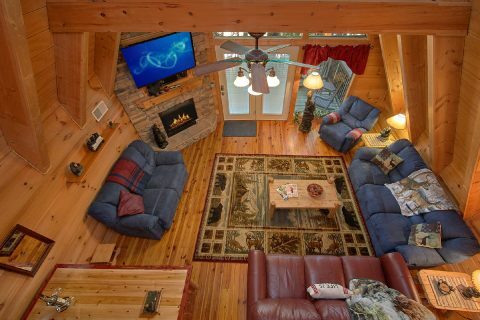 The living room is a welcoming space complete with large windows, a gas fireplace, and a 55" HDTV for enjoying a laid back movie night in your cabin. 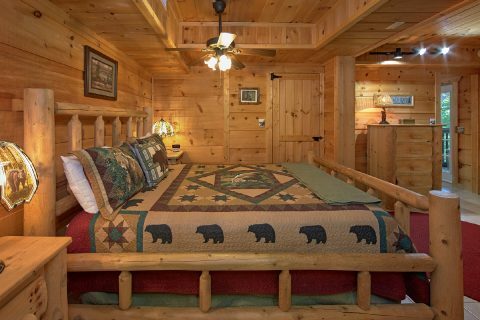 This room also offers access to one of your cabin's decks. 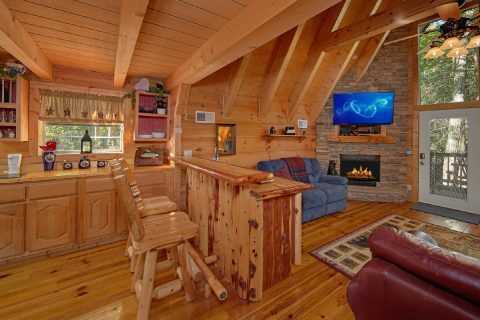 While there are a variety of restaurants to try only a short trip from your cabin, "Skiing With The Bears" comes with a full kitchen, gas grill, and a dining area if you'd like to enjoy meals in the comfort of your rental. 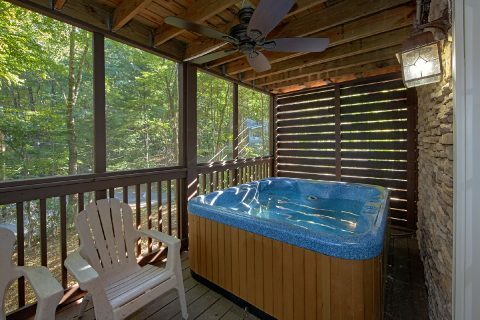 After dinner, you can enjoy a relaxing soak in the hot tub on a screened-in deck or unwind in privacy in your cabin's jacuzzi tub. 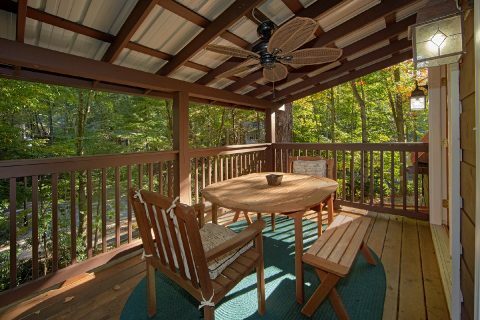 This cabin also offers a deck with a porch swing and rocking chair for simply relaxing in the great outdoors. 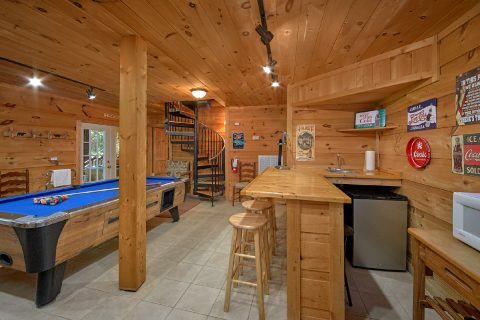 Take the spiral staircase to the game room to enjoy a round of pool on the pool table. 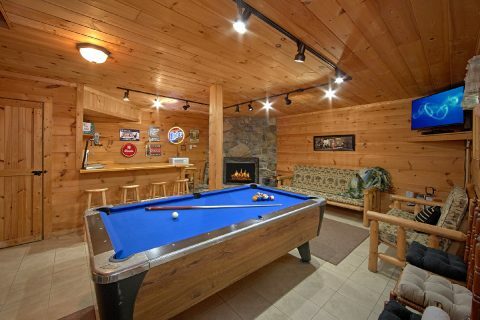 This room also features a 60 game arcade game, a television, fireplace, and a wet bar complete with a microwave and a mini-fridge. 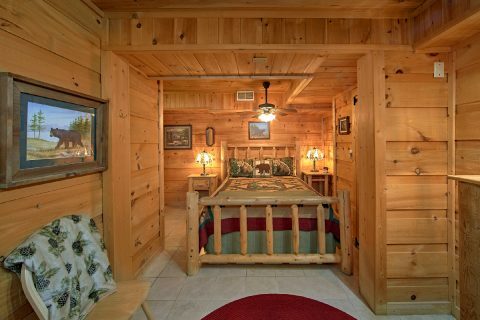 With 1 king bedroom on the main level, 1 queen bedroom on the lower level, and a sleeper sofa in the main living area, this Gatlinburg cabin comfortably sleeps up to 8 guests, so it's the perfect size for a family getaway or a weekend trip with friends. 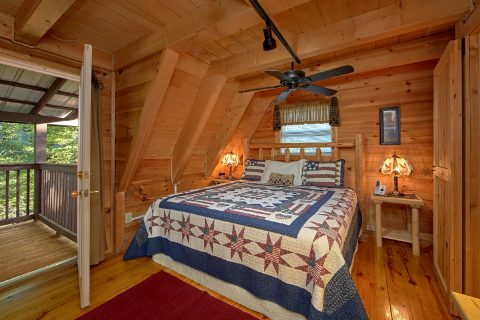 The top-floor bedroom has a daybed that can be converted into a queen bed when you're ready to get some sleep. 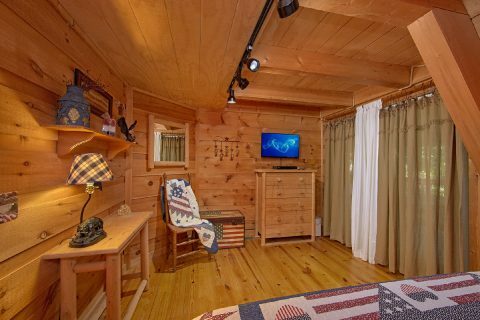 Book your cabin close to Ober and the national park today with Cabins USA Gatlinburg to earn a special discount on your getaway to the Great Smoky Mountains of Tennessee!